Joe Carrasco has been appointed vice-captain to Steve Leach for Shropshire’s Unicorns Championship side, with Ross Aucott named captain of the county’s Twenty20 team. 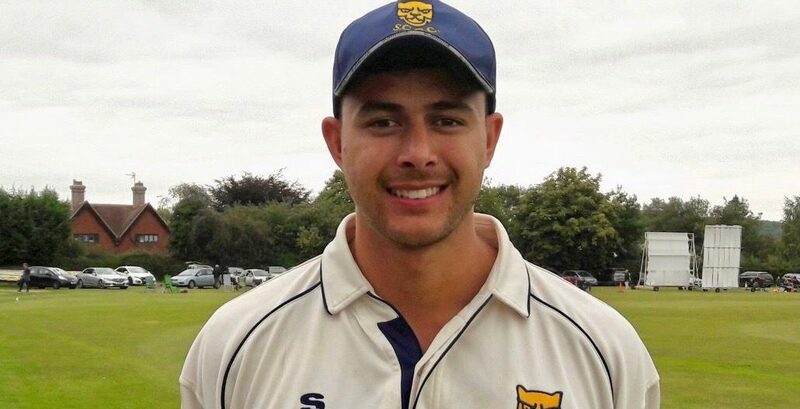 Oswestry batsman Carrasco will support Leach, now preparing for his fourth season as Shropshire skipper. Shifnal all-rounder Aucott was presented with his county cap ahead of making his 50th appearance for Shropshire in all formats in the final Championship match of last season against Devon. Former Worcestershire player Alexei Kervezee will be vice-captain to Aucott. Bryan Jones, Shropshire’s chairman of selectors, said: “It’s nice for Ross and Joe to be given some added responsibility and it shows the pathway is there for players to progress right the way through the Shropshire system to leadership roles. “Joe is able to commit to playing a full season of three-day cricket this year and it will be a boost for the team to have him available on a more regular basis. “We are grateful to Will Parton for captaining the T20 side in the first season of the re-introduced T20 competition last year, with Ross and Alexei now looking to build on his good work. Shropshire have arranged pre-season friendlies against Worcestershire and Staffordshire next month before beginning their competitive 2019 fixtures with a T20 encounter against Berkshire at Whitchurch on Sunday, May 5. The county squad are training regularly at Shrewsbury School’s Neville Cardus Indoor Cricket Centre as they prepare for the new campaign. Pictured: Joe Carrasco has been appointed vice-captain to Steve Leach for Shropshire’s Unicorns Championship side.